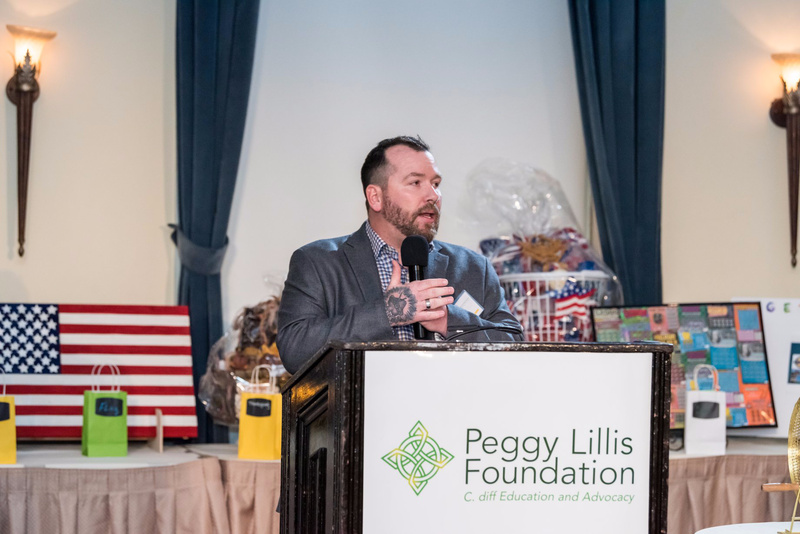 On Friday, October 26th, the Peggy Lillis Foundation (PLF) hosted its Ninth Annual FIGHT C. DIFF Gala in Brooklyn, New York. 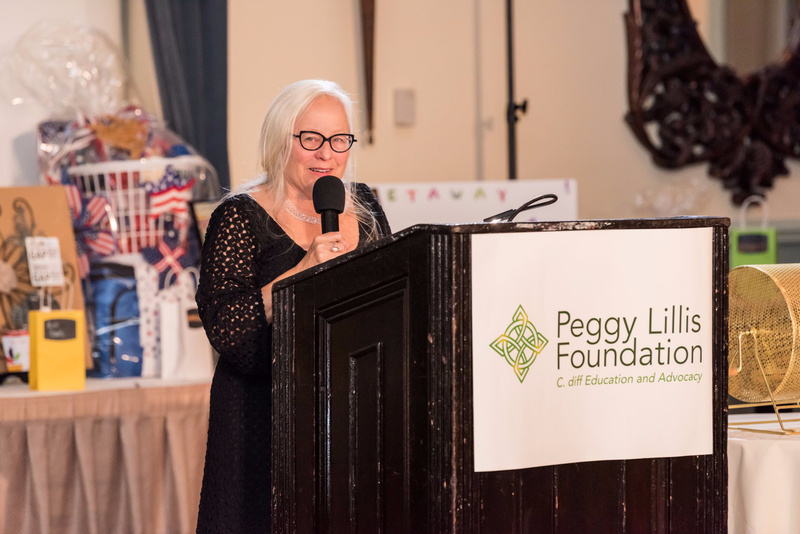 Through the generosity of 175 guests and sponsors, we raised more than $100,000 to support PLF’s mission of building a nationwide movement to fight C. diff infections (CDIs) by educating the public, empowering advocates and shaping policy. We have many more effective diagnostic and treatment options today then we used to. There is greater attention to hand hygiene and sanitation. Several new preventatives and therapies are moving through the pipeline. Federal agencies continue to focus on C. diff, particularly how using antibiotics only when they are truly needed can prevent many of these infections. Public awareness of C. diff has increased in the US by 10 percent; from 23% back in 2014 to 33% in 2017. That’s a big difference! PLF President Liam Lillis begins the evening by welcoming Gala honorees Dr. Dale Gerding and Lisa McGiffert. The first award of the night, the Lifetime Achievement Award, was presented by Rebiotix CEO Lee Jones to Dr. Dale Gerding. Dr. Gerding is an infectious diseases specialist and hospital epidemiologist, research physician at the Edward Hines Jr. VA Hospital and retired professor of Medicine at Loyola University Chicago Stritch School of Medicine in Maywood, Illinois. He is past president of the Society for Healthcare Epidemiology of America and the past chair of the antibiotic resistance committee of SHEA. He is a fellow of the Infectious Diseases Society of America (IDSA) and past Chair of the National and Global Public Health Committee, the Antibiotic Resistance Subcommittee, and is co-chair of the of the guideline for Clostridium difficile Infection of IDSA and SHEA. His research interests include the epidemiology and prevention of Clostridium difficile infection, antimicrobial resistance, and antimicrobial distribution and kinetics. He holds patents and technology for the use of non-toxigenic C. difficile for the prevention and treatment of this disease. 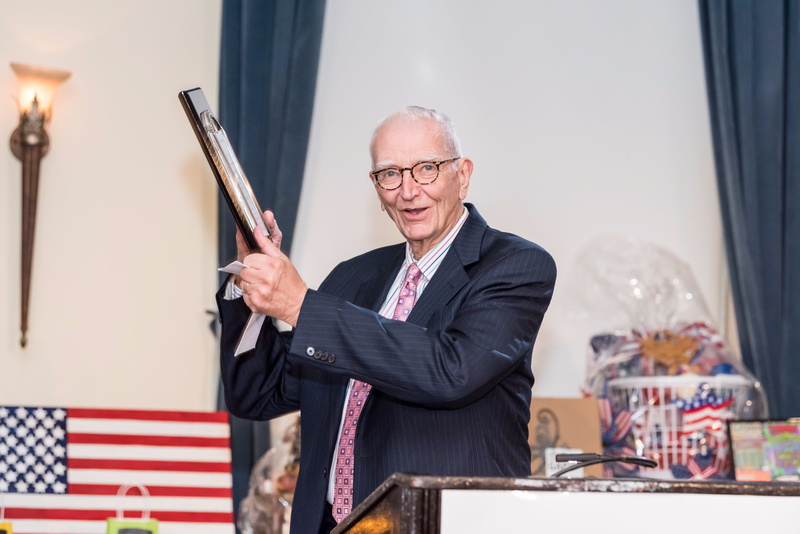 Dr. Dale Gerding accepting the Lifetime Achievement Award. Christian introduced the evening’s second honoree: Advocate Award recipient Lisa McGiffert. Lisa is retired as the Director of Consumers Union’s Safe Patient Project (SPP) in May 2018. This national campaign worked on state and federal policies to end medical harm, focusing on healthcare-acquired infections, medical device safety, medical errors, and physician accountability. The campaign began in 2003 and developed a model law and initiated state laws to publish hospital infection rates and raise public awareness about the problem. Today, more than 30 states and the federal Medicare program require such reporting of all US hospitals. Lisa McGiffert giving her Advocate Award acceptance speech. 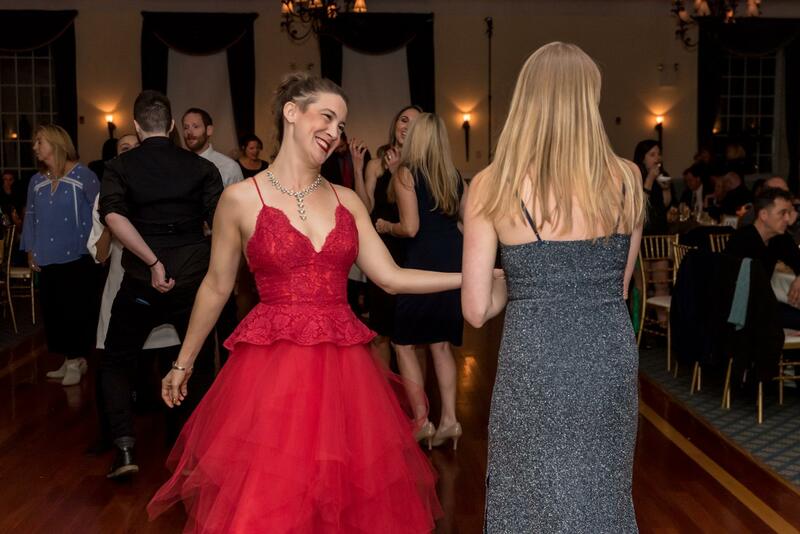 Though our Gala always has an emotional theme, it was still great fun for our guests who danced to the musical selections of DJ Colleen Crumbcake, and bet on an array of raffle prizes donated by our supporters, friends, and family. Filip Rucewicz captured the magic of the evening with his brilliant photography, and Jason Rea and WorldStage provided beautiful lighting design throughout the night. 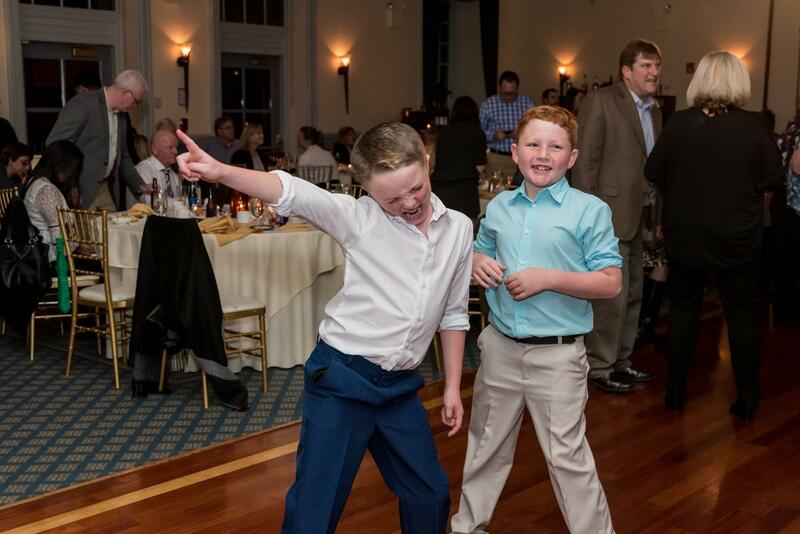 Gala guests on the dance floor. Boys enjoying the evenings festivities! We are deeply grateful to the evening’s sponsors, including our Lead sponsor, Merck, and our Supporting sponsors, Cepheid, and Synthetic Biologics. We are also thankful for our Angel sponsors, Finch Therapeutics, Rebiotix, and Seres Therapeutics as well as more than 30 other friends, family, and companies. You can also look at many more photos from the Gala on our Facebook page.